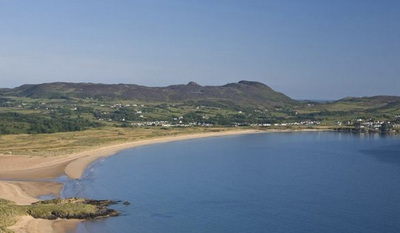 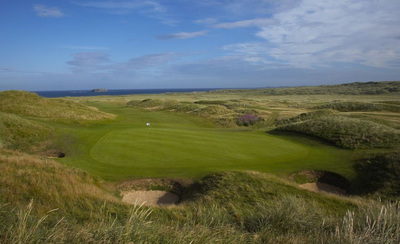 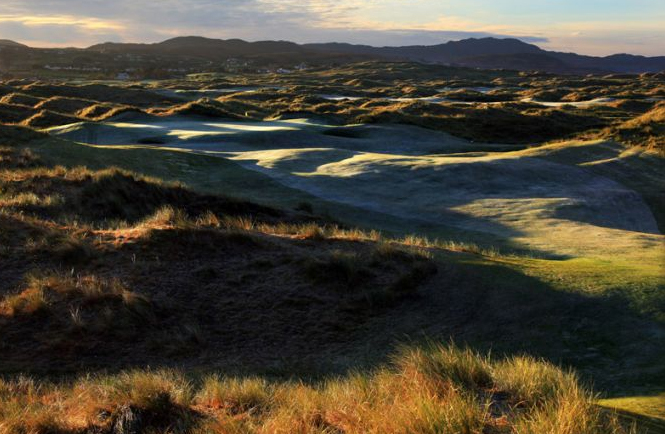 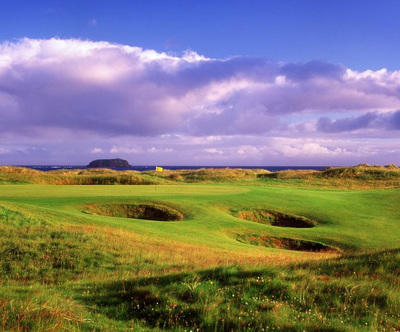 The North West Ireland Hidden Gems Trip encompasses the rugged links courses of County Donegal, Ireland’s most north westerly county. Stretching from the links at Murvagh Donegal to Ballyliffin, this is golf in it’s natural state. 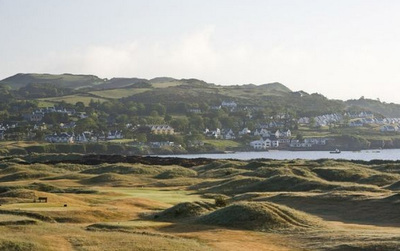 For the golfer who is looking for a new challenge or for those who prefer to tee it off up on the lesser known courses, this is the Ireland golf trip for you. 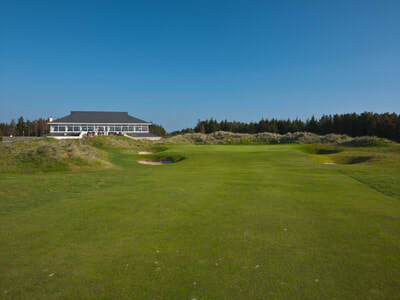 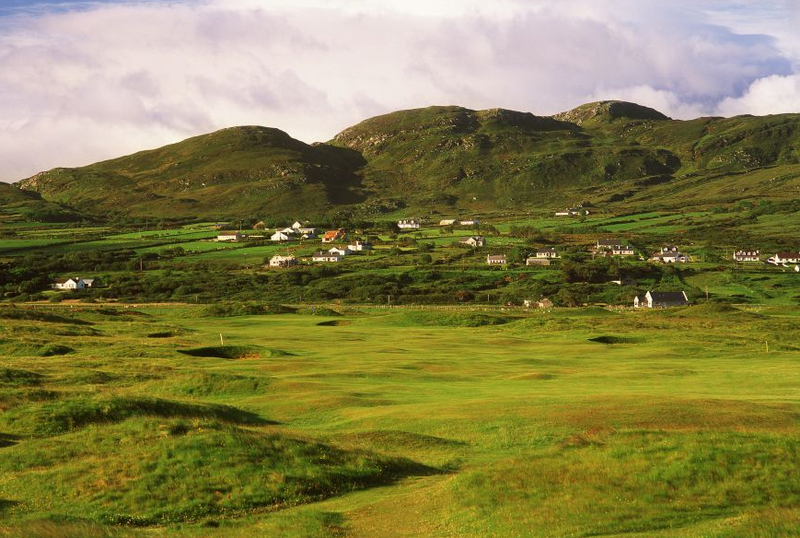 Donegal ( Murvagh) has been described as the “Muirfield of Ireland”, similar in terrain with two loops of nine holes, the first nine an outer loop and the second nine an inner loop running in the opposite direction. At 7,300 yards from the back tees this can be as big a challenge you are likely to find on any Irish golf course. 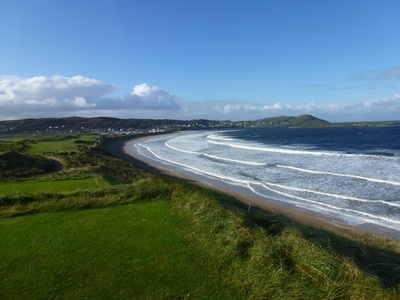 The course was desihgned by legendary Irish golf course designer Eddie Hackett in 1976 wit revisions by Pat Ruddy in recent years. 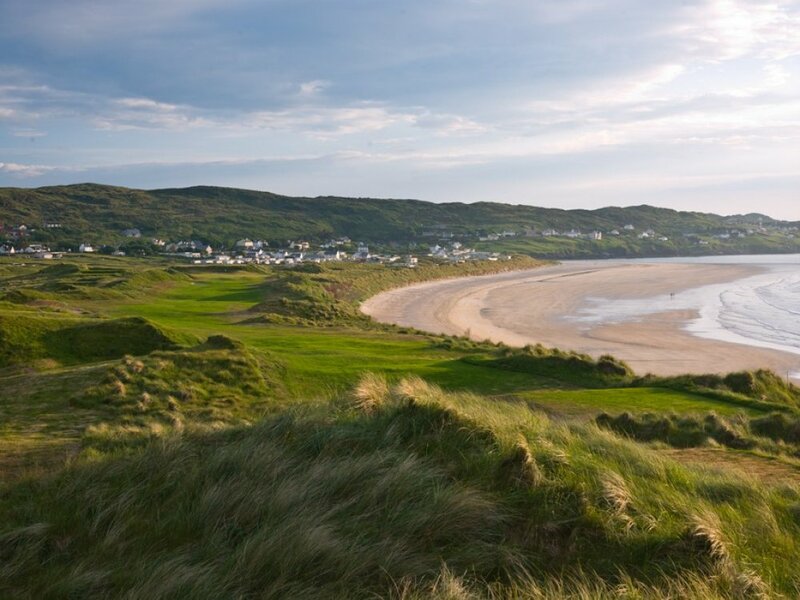 With sweeping views of Gweebarra Bay, Narin and Portnoo is considered one of the finest natural and scenic 18-hole links Golf courses in Ireland. 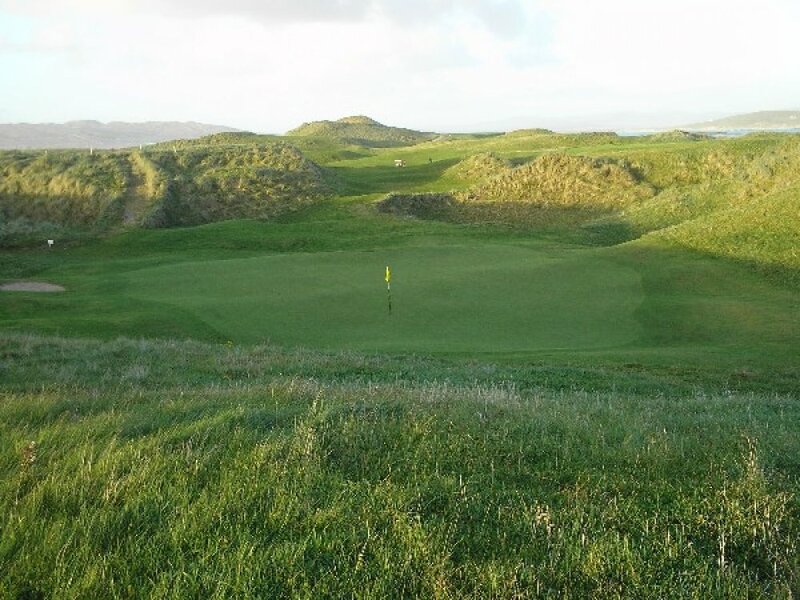 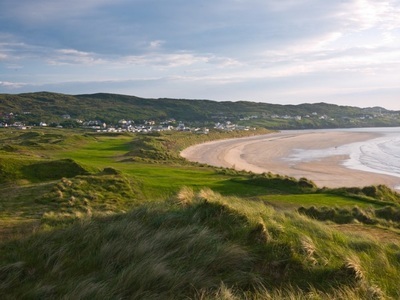 Tom Doak in his Confidential Guide to Golf Courses in Ireland describes this as the best of the courses in Donegal, noting that this unassuming course possesses four of the best two-shot holes in Ireland, the 5th, 8th, 9th and 17th. 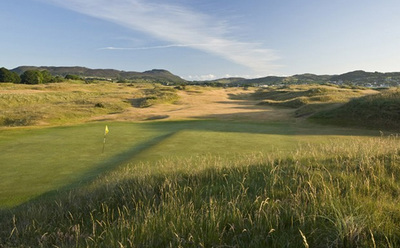 Sandy Hills was designed by Pat Ruddy and opened for play in 2003. 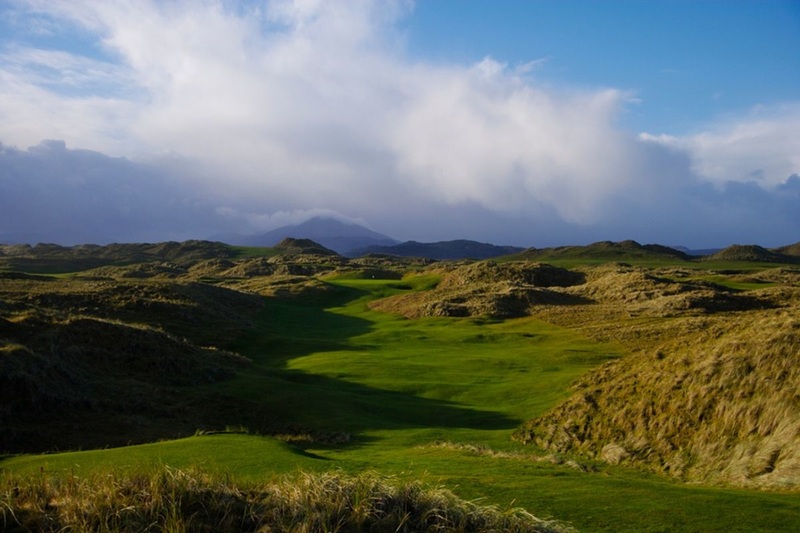 Built in epic dunes, it is intended for the serious golfer, its narrow fairways appear constricting from the tee, but the landing areas sculpted from the dunes are deceptively wide. Measuring a hefty 7,255 yards from the tips, it was designed with championship play in mind. 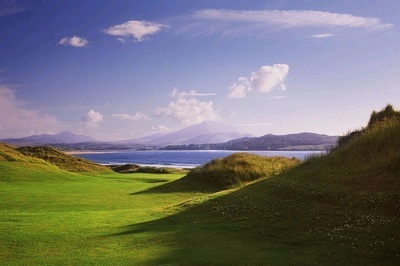 However don’t allow this to deter you, with a multiplicity of tees there is a length to suit all strengths. 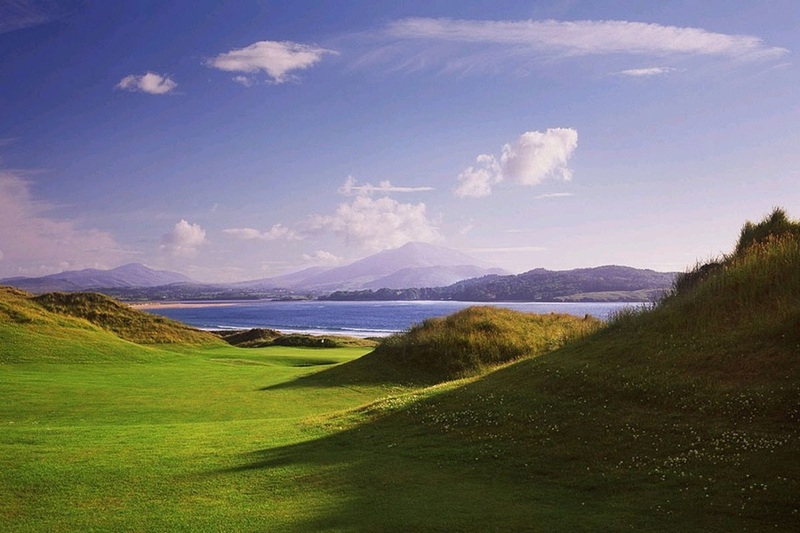 It is course all the more worthy of a viist due to the spectacular views it affords the golfer. 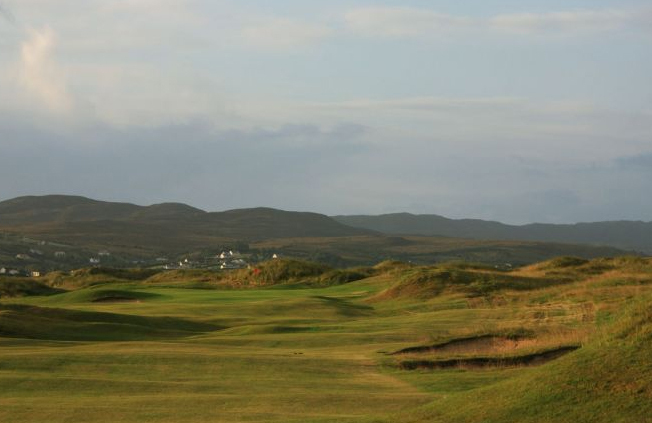 Running to just under 7,000 yards off the championship markers the Strand and Valley nines which now make up the Old Tom Morris Links are a testing combination of traditional and modern links holes which bridge a century of golf design influences. Originally designed by Charles Thompson of Portrush in 1891, the layout has evolved over the decades with significant changes being undertaken under the guidance of Pat Ruddy in 2000. 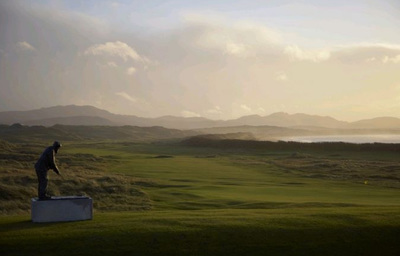 Nestled under the Knockalla mountains and stretching along the magnificent Ballymastocker beach, a true test of links golf presents itself. 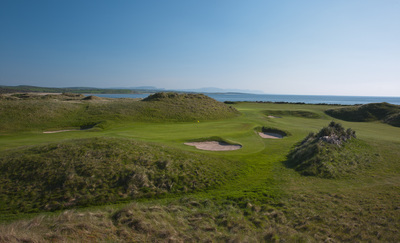 The 2nd hole which plays across the mouth of a small burn would stand out in any golf course anywhere. The Glashedy Links is the newer of the two courses at Ballyliffin, designed by Pat Ruddy and Tom Craddock in 1995. 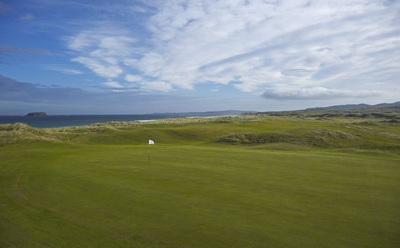 Set in dramatic dunes, The Glashedy is a big challenge for all golfers. 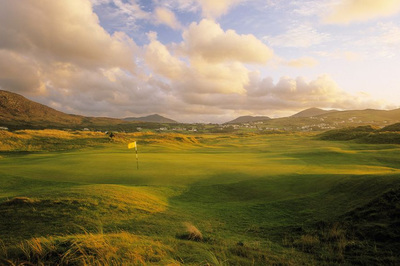 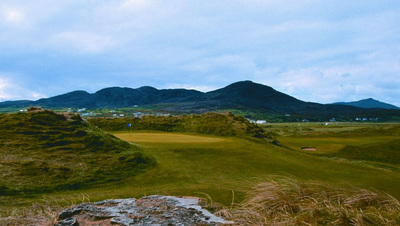 The course is named after the Glashedy Rock which can be seen in the Atlantic Ocean backdrop. 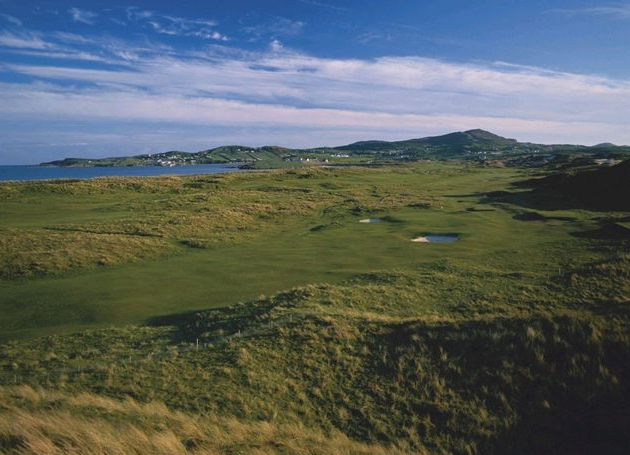 The Old Links at Ballyliffin undulates in the glory of its natural terrain, presenting an immensely enjoyable challenge to every golfer. The original course dates back to the 1920’s with recent revisions undertaken by Nick Faldo. 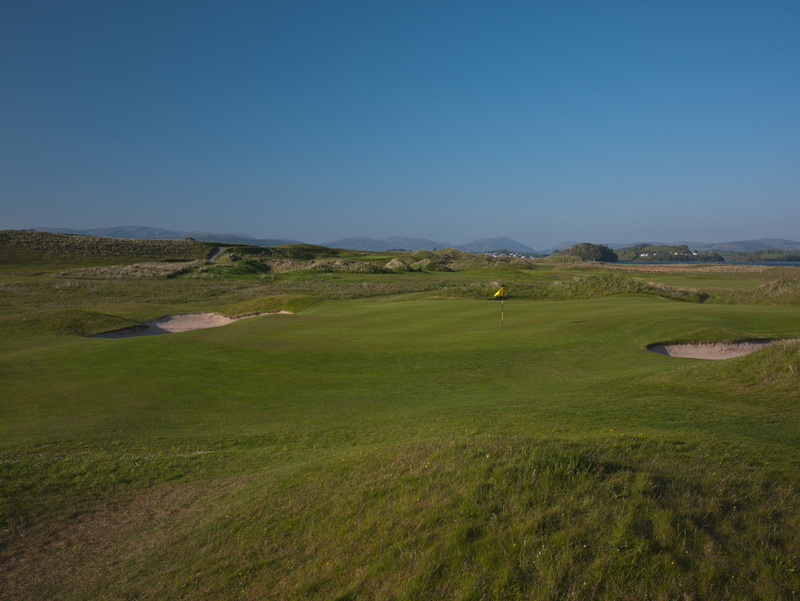 Renowned for it’s wrinkled fairways, it’s run of three holes along Pollan Strand would make any course proud. 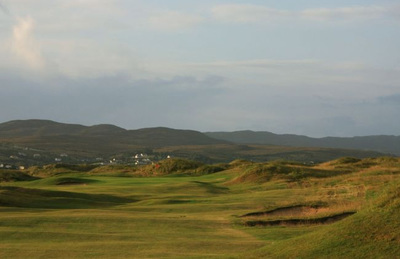 This charming golf course is often regarded as the Royal Dornoch of Ireland.